The Journey Cafe is at Setiawalk, a place where it's buzzing with people but the cafe is located at the more quiet side of the area where some of the shops are not occupied yet and without the nightlife crowd for the bars there, the establishment can be a nice place where people chill out to have some nice quiet time to get work done. There are even books and magazines around should the patrons desire to have a quiet read to past the time but for me, the main draw would be their western breakfasts. I find it hard to get good western breakfast around Klang Valley, it's usually small in portion and unsatisfying in taste not to mention with the price to pay for a western breakfast can get you a nice sumptuous Chinese breakfast. The closest to my expectation around Klang Valley would be the OldTown White Coffee but still the taste is way under par from my expectation. Best I ever had so far was when I was down in Ipoh at Greentown where I just went into a Chinese hawker style restaurant there to grab my breakfast while I waited for my family. The western breakfast was surprisingly full of contents, cheap and satisfied my craving hunger not to mentioned that they gave bacon as well. Anyway, back to The Journey Cafe, as I was saying, the Western Breakfast are the ones that I would enjoy here. From the picture you can see in contains two-eggs-your-way (in this one is the sunny side up eggs), 2 beef bacon, 2 chicken sausages, baked beans, sauteed mushrooms and a pastry called Laugenbroetchen roll. All is well and nice but the baked beans seemed to be a bit off in taste to me unlike the canned ones that I'm used to. This time, the European Continental Breakfast came with Scrambled Eggs. Really rich and buttery. The Aussie Brekkie has a 100g Grilled Beef Tenderloin and grilled tomatoes with sauteed mushrooms and toasted baguette and for this one, they served the two-eggs-your-way scrambled eggs style to us. Taste okay but grilled chicken a little dry. Counter with the greens. Meatball is also dry but with the sauce, it's okay. The taste is delicious to me. This is lightly spiced so if you don't like spicy food, you might not like it. Priced at RM18.90. The smoked salmon and the shrimp eggs are very much visible, but from my picture what you didn't see clearly is that there's poached eggs that's a little covered by the smoked salmon on top of the lettuce. Rich in cheese and cream, it contains beef on the inside and priced at RM17.90. Grilled beef patty with fluffy burger bun. Quite okay on the portion of shrimps given. Priced at RM16.90. At the bottom of the lamb sits potatoes. If Mint Yogurt sauce is not your choice, you can also choose the lamb grill to be served with either BBQ, Garlic, Black Pepper or Mushroom sauce. Topped with cream sauce, there's also potatoes at the bottom. If you don't want Garlic Sauce, you can choose the sauce of your choice to be showered on your Tenderloin Steak. Like the Salmon and the Lamb, there's also potato at the bottom. Taste is not bad. Currently, not on the simple menu which they're revamping to have a more descriptive one but it's on the Ramadhan Set menu. This tastes good and with the Ramadhan set that comes with soup, appetizer and dessert, it's quite worth it. But like I said before, the main draw to me is the Western Breakfast and some of their main course is not bad not to mention a great environment to just hang around and relax. It closes on Mondays and opens till 10.30pm everyday where weekdays will start from 11am while the weekends starts at 9:30am. Last week, before the weekend arrived, Ireland's premium ale, Kilkenny, made an exclusive event that reflects it's authentic and classy yet understated qualities at The Bee, Publika. The theme, "Experience the World of Kilkenny", intends to take the guest on a journey of all things Kilkenny, from it's 300 years of Heritage, attention to brewing perfection and the artistry that makes even the savviest of beer connoisseurs appreciate every sip of the fine Irish ale. "Brands that have endured centuries have enduring value. You will find that Consumers are loyal to tried-and-tested brands that have remained constant and aren't fleeting or going to disappear when hard times come. Kilkenny is one of those brands. It is one of Ireland's oldest brands and it wears that heritage proudly." A pic of the Kilkenny team. There were some delicacies that were selected to pair with with the fine Irish ale for the consumption of the guest. The churros were my fave among the food served. While midway through, there was a performance of sand art conducted by Loong Bee, renowned sand artist and story teller. Loong Bee showcased the Kilkenny brand with his artistic strokes, graceful hand movements using sand as his only tool. Another highlight of the night would the the crowd gripping Masterclass experience where it shows what makes Kilkenny the crème de la crème in the world of ale from different taste notes. Ben Ng of GAB Professional Solutions led the class to appreciate the fine ale more. The spoon is for us to scoop up the foam to taste how it's like which is bitter. The rest of the night for me involves indulging more with Kilkenny and be amused by friends antics. Cheers to the organizers and the team! Ever had that gut feeling of yours where you just feel like dropping everything and head on to an exciting adventure? 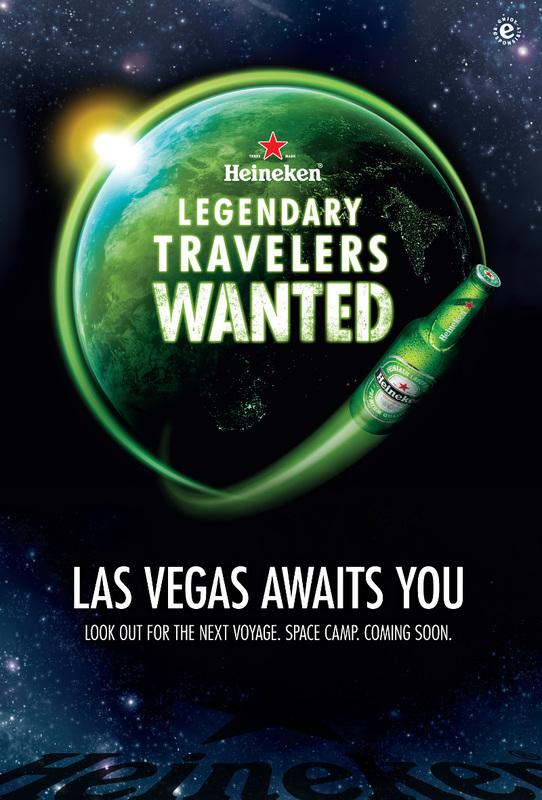 Well, if you're brave enough to embark on an adventure of a lifetime, Heineken is inviting you to be a legendary traveler to the land of USA! The world's no. 1 international premium beer brand is challenging Malaysians to be a traveler and not a tourist and you could win an all-expense paid trip to Las Vegas. 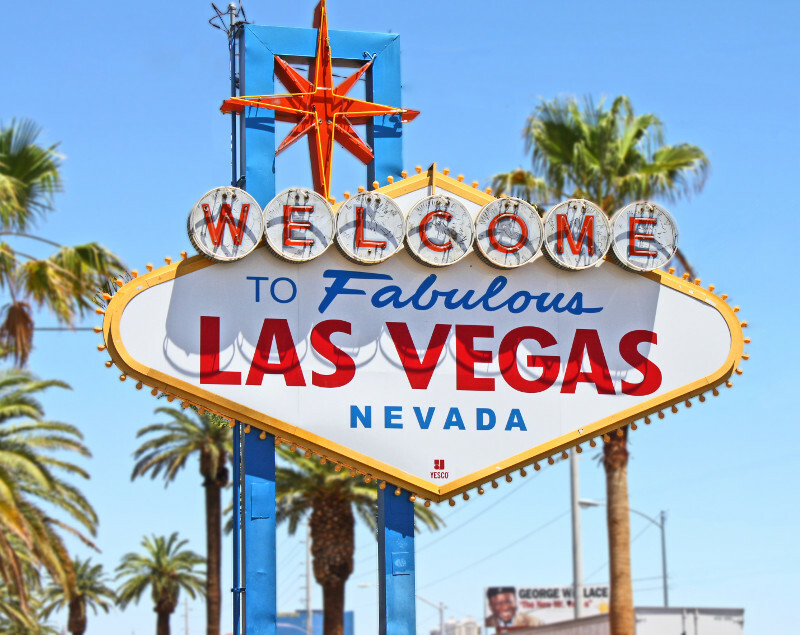 Instead of just the usual bright lights, illustrious parties and elaborate shows that are synonymous with Sin City, Heineken promises to bring an experience more than that that is to take you to a voyage off the beaten path. 1) Purchase 2 buckets OR 8 pints of Heineken to get an entry ticket of participating Heineken outlets. 2) Complete the entry ticket with your details and correct answer. 3) Drop the entry ticket into the official entry box at participating Heineken outlets. 4) That's it! Enjoy the beers purchased! This will be the 5th installment of the Heineken 'Legends' campaign which aims to inspire its drinkers to push their boundaries and immerse themselves in a worldly experience unlike anything they've done before. 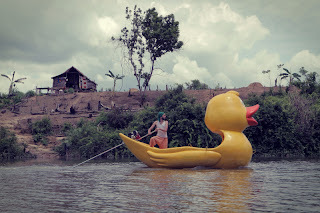 This campaign is also in line with the beer brand's latest global campaign, 'Voyage'. 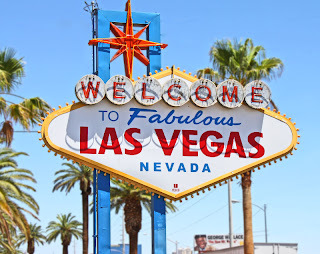 “Voyage highlights Heineken’s flair to continuously deliver world class experiences and our latest campaign rewards 15 Malaysians to an unprecedented adventure to Las Vegas worth RM800,000,” Ms. Jessie added. To uncover legendary explorers that display their true character, Heineken is running its most daring social experiment yet by testing what men are truly made of when they are taken out of their daily lives and dropped into the great unknown. The result is ‘Dropped’, a series of episodic adventures following fearless explorers plucked from across the world and literally dropped in the middle of nowhere with nothing but the most basic of supplies and direction, forcing themselves to discover their own limits and conquer their fears. The series featuring four ‘Dropped’ voyages with three episodes, so far has seen sun-loving Spaniard Rikar in the freezing Alaskan tundra and subsequently Greek yoga instructor Stavros in the middle of the Cambodia jungle using every ounce of charm, vigor and wit to get themselves back home. Watch the social experiment unfold as you follow how each traveler fares on their legendary adventures on the Heineken ‘Dropped’ YouTube channel www.youtube.com/heinekendropped. 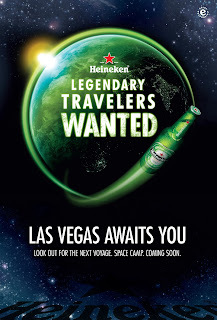 The Heineken ‘Legendary Traveler’ contest runs from 1 – 31 July 2013, so get your passports ready for the ultimate legendary travel with Heineken. To be part of Heineken’s exciting calendar of events, stay tuned at Heineken's Facebook page (www.facebook.com/Heineken) or Twitter (www.twitter.com/Heineken_MY). Before going on about the dishes I tried at this place, I would like to express that Korean food is never my preference. The first ever Korean food that I tasted was Kimchi and I never liked it. I don't remember how it was introduced to me nor who brought the food for me, I just remember that I don't like it and till this day, I still don't. But I'm still open in trying out Korean food in hopes that I find one that I really, really like. Currently, there's still no Korean dish that I like but there are some that I deemed okay. SeoulScape Bistro is easy to spot from outside despite it being on the 1st floor. It has a vibrant type of setting that contains an eye-catching graffiti art on the wall, a projector that plays K-pop with the audible music around and some K-pop naterials as decorations on shelves. There's also a mirror on the wall for the vanity in most of us. The main dish that we tried, one was housed in a wok and another in a pot. Ddeokbokki's main ingredient is the Rice Cake. In the variation we had, it consists of some crab sticks, sausages, onions, boiled eggs. Ramyeon was later added in too. The chili paste which I think it's gochujang makes the broth spicy but doesn't affect the ingredients too much except for the ramyeon of course since it will absorb the broth up. The other main dish that's served in a pot is the Budae Jjigae. It may seem tame without the reddish color settling in yet, but it does contain chili paste at the bottom. Budae Jjigae literally translates to Army Base Stew. Back during the days of after the Korean War, meat was scarce. Hence, people tend to make use of surplus food that they can find in the US Army base to make Jjigae like sausages, canned hams and thus become Budae Jjigae. Ours were added in extra chili paste - Gochujang hence it was spicier than the Ddeokbokki. But if it weren't so, I believe that the Ddeokbokki would be a more spicier dish since it's not soup-like like the Jjigae. Which were crackers with some jam on top, splashes of chocolate syrup with some fruits on top. For me, I stuck to the 2 main dishes as that's the taste that's the most pleasing to my palates. SeoulScape Bistro is open everyday except Mondays from 12:30pm till 11pm. 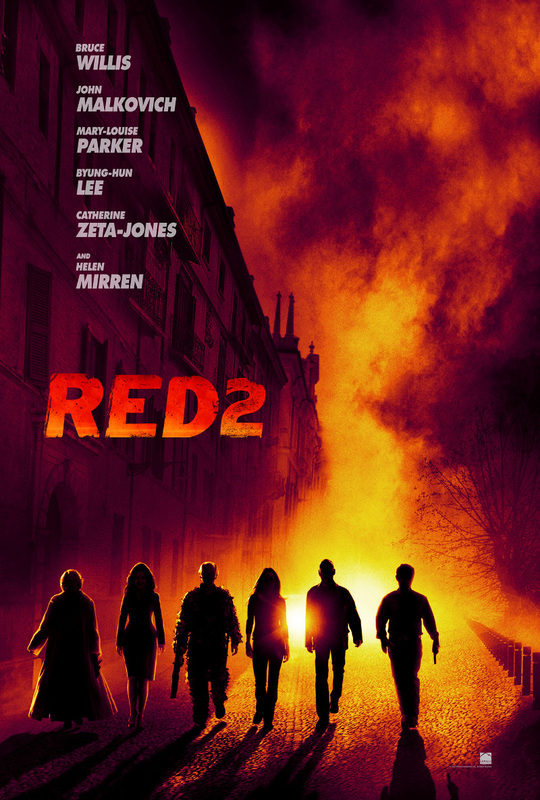 I didn't watch Red the first installment to this movie and I don't even remember that there was this movie. 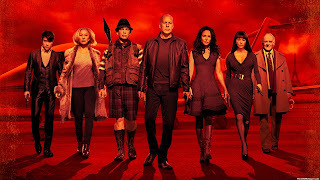 But watching Red 2 without watching Red won't make you lost from the storyline except for some of the character development. Red 2 is about Frank Moses (Bruce Willis) where he's already retired from the CIA and am living a normal life being married to Sarah. The movie starts off in a supermarket where when Sarah went of to get something from another aisle, Frank was approach by one of his CIA buddy Marvin who tries to persuade him that playing house isn't him and that he needs him and there's something big going on that his expertise is required. He can bring Sarah along if he wants. But Frank wasn't swayed by Marvin. There was a car explosion later on and Marvin was killed. At his funeral, Frank wasn't convince Marvin's dead and tried to prove it by sticking a pin in his hand but it didn't work. After the funeral service, Frank found himself being taken in by the CIA for a debrief but before they got to him, Frank told Sarah to run off and go to one of his safe house. During custody, Jack Horton who's been ordered by the higher-ups to get the job done by any means necessary starts to pursue after Frank and starts killing all operatives in sight with his team. When he got to Frank, Frank busted out and takes out Jack's team one by one. When outside, Frank met up with Marvin who also took Sarah along. Frank was upset that Marvin took Sarah with him but Sarah kept insisting that she wants to come along for the thrill. Marvin then tells Frank the whole story where they both are being pursued because they were framed as key persons who are involved in a secret ops by the British and US government. During the Cold War, this project involves in smuggling in parts and assembling a nuclear device into Russia and that this device is still around. This news about the ops was leaked out into the Internet hence everyone is trying to get to Frank and Marvin to get ahold of the device. Meanwhile, MI6 hires the best assassin there is to kill off Frank. That guy is Han Cho Bai who really hates Frank for putting him in jail. MI6 also asked one of their operatives Victoria to kill Frank due to her being able to get to Frank. Frank, Marvin and Sarah looked at the leaked document themselves and had came to the conclusion that The Frog, a man who's known to know many secrets and a wine lover leaked the document out. They traveled to France to look for The Frog and planned to bait him out with the most expensive wine. At the hotel, they were met up with a Russian operative Katja where her and Frank shared an intimate relationship and is also Frank's "Kryptonite". Sarah was jealous of how Frank reacts to Katja and wants more involvement in their plan to flush out The Frog. The Frog was in the midst of negotiating a deal in a restaurant when Sarah aroused his suspicions and started to bail out. Katja and Frank gives chase. Not wanting to be outdone by Katja, Sarah takes Marvin and goes after The Frog too. When they manage to capture The Frog, they learned that the creator of the nuclear bomb, Dr. Edward Bailey, was actually still alive and am held up by MI6 in a really tight security mental institution. That's where they had Victoria to help out as well in breaking into the facility to bail Dr. Bailey out. They were also curious as to why Dr. Bailey were locked away by MI6 and so they tasked Victoria to get back into MI6 to find out while they will take Dr. Bailey to Russia to point out to where the device is. They soon found out Dr. Bailey isn't exactly the person he portrayed to be. Watch the movie to find out the full story! This show is just okay in my books despite many great actors and actresses of yesteryears. Plotline is intriguing enough though it's a typical "in trouble and need to save the world" kind of theme. There's some good action scenes and the hilarity level although lame is funny. I'd award it 3 stars out of 5. Number 2 990 978, that's the Absolut Unique bottle that I'm having. Absolut Vodka introduces Absolut Unique – a limited edition of nearly 4 million uniquely designed and individually numbered bottles for a world of individuals. 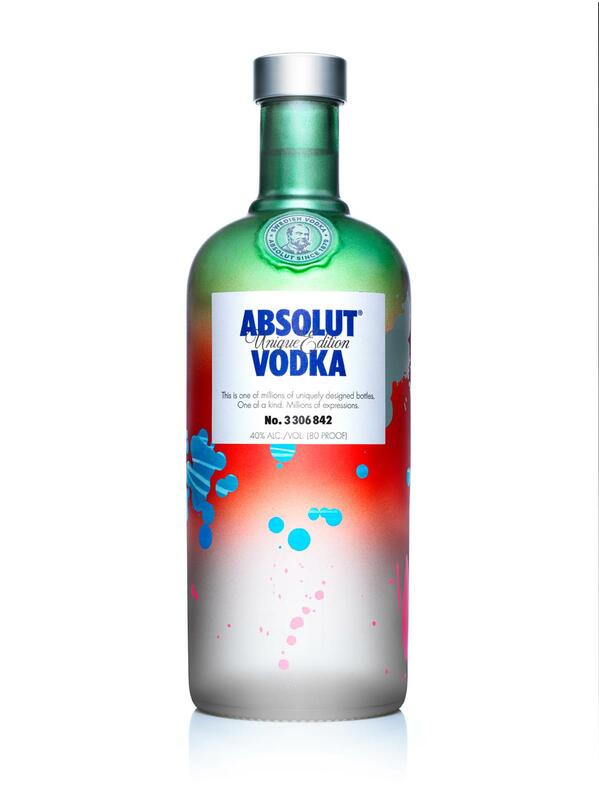 Absolut Unique is now available in Global Travel Retail outlets and is also sold at all authorised Pernod Ricard Malaysia consumer and retail outlets from June 2013. Absolut Unique’s tagline of ‘One of a kind. Millions of expressions.’ epitomises the artistic creativity that went into developing this limited edition and is probably one of the few brands in the world that could develop something like this. To make every bottle become a one-of-a-kind work of art, Absolut had to re-engineer the entire production process. The colourful, vibrant bottles will be distributed worldwide. Everyone will find a design that catches their eye and becomes a truly personalised gift or the perfect addition to a party or collection. The essence of Absolut Unique is the exceptional contrast with the millions of expressions outside with the consistent quality of the vodka on the inside. With Absolut Unique consumers can bring home their own unique piece of Absolut art. “Absolut Unique is a daring concept, even for a company as passionate about creativity as Absolut. Anyone could do one or two unique products. We're making close to 4 million,” said Terence Ong, Sales and Marketing Director of Pernod Ricard Malaysia. Every label of Absolut Unique has its own unique number which tells the consumer that the bottle is truly one-of-a-kind. The white, matte and slightly structured paper material of the label emphasizes the uniqueness of every bottle and gives it an authentic feel. Absolut Unique is remarkable because it is arguably the only limited edition release that has been created by any spirits maker where every single bottle is different from the other. This variation and randomness has provided customers with a wealth of different expressions to choose from. It is truly Absolut Unique. For Absolut Unique, Absolut had to re-engineer its entire production line. It required a complex interaction of human and mechanical elements, and a carefully orchestrated randomness, to achieve the desired end result. Splash guns and colour-generating machines were set up and complex coating, pattern and placement algorithms were programmed in to ensure that no two bottles would be alike. 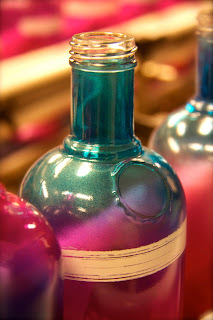 Thirty-eight different colours were used, and fifty-one pattern types were applied to the bottles. The result was even better than anticipated. Absolut Unique feels a bit 'mad scientist,' a bit street art. When the bottles first appeared on the conveyer belt, Absolut was ecstatic. By that point the production line looked more like an artist’s studio than a bottle factory. These are really striking bottles. Everyone will find a personal favourite. "A lot of world-class creators have made their interpretations of our iconic bottle. But this time Absolut was the artist," continued Terence. "Our customers are all unique – so we wanted to give them each a one-of-a-kind bottle as individual as they are. We loved the concept. Making it happen was the hard part. Along the way we doubted whether this would be at all possible. Well, guess what? It is”. Mattias Elg, a Quality Management Professor from the Linköping University in Sweden, figured out that ABSOLUT could create 94 quintillion bottles – that's 94 times 10 to the 18th power – before two similar ones would appear. That equals more than 13 billion bottles for each person on earth.